I know it’s been a while. I'm reading like a madman, literally. Eight Stephen King books down...I give you Carrie, Salems Lot, The Shining, The Stand, The Long Walk, The Deadzone, Firestarter and Roadwork. It's been, to say the least, very interesting. I had never read Salem's Lot, The Stand or any of The Bachman books which include The Long Walk and Roadwork. The last two were written under the penname Richard Bachman which King had used for quite some time before someone blew his cover. Honestly, the more books I read the more excited I become about finishing all of his novels. His style of writing has become so addicting to me. I usually start a book intending to only read a few chapters and end up half way through the book before I know it. So lets starts with a few old reads. 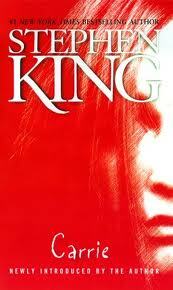 The next book on my list is Stephen King. Literally. Every Stephen King novel is on my book list this year. All 56 (soon to be 58 since he is releasing 2 new books this year) are on my list. To say the least, I’m anxious. My dad handed me Firestarter when I was 9 years old. I was really in to horror as a child. I loved Goosebumps by RL Stine and I had started reading Fear Street, also by RL Stine, until my dad gave me that first Stephen King book. I finished it in 4 days. I don’t know what came over me. I was consumed by the story. Looking back I don’t even k now if I completely understood what was going but his writing kept me going page after page. The next thing I knew I had finished Christine, Pet Sematary and The Shining. King became an essential part of my library.